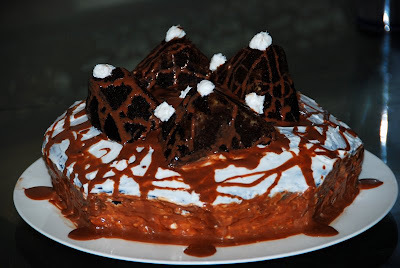 1) Mix Paneer,All purpose flour,vanilla,Egg,Sugar,Baking Powder and water in a grinder for about 2 or 3 minutes. 2) Grind till we get a smooth batter. 3) Preheat the oven to 350 F .
4) Grease the bottom and sides of the baking pan with oil and spread some all purpose flour on it. 5) Pour the batter into the pan and spread the raisins and cashews on top. 6) Bake until a stick which is inserted in the center part of the cake comes out clean.It will take around 20 – 30 minutes. 6) Cool the Cake before removing from the pan. 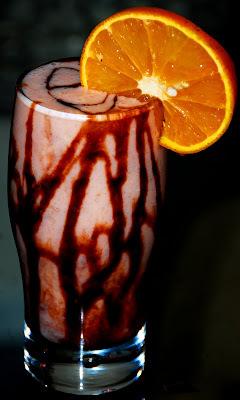 :- Serve it when it is cool. 1) Make paneer by boiling the milk and adding lemon juice to it,keep stirring the milk , until the milk separates; the solid curds will separate from the green watery broth. 2) Allow the curds and whey to cool for a half hour (or until still warm, but at a temperature you can handle), then strain through cheese cloth in a strainer. 3) Make the dough by combining the All purpose flour,Baking soda,Milk powder,Paneer, butter. Add just enough strained milk broth to make a medium-hard dough. Divide the dough into 18-20 portions. Make balls by gently rolling each portion between your palms into a smooth ball. Place the balls on a plate. Cover with a damp yet dry kitchen towel. 4) Heat the oil on high and then lower the heat to medium. Slip in the balls into the hot oil from the side of the pan, one by one. They will sink to the bottom of the pan, but do not try to move them. Instead, gently shake the pan to keep the balls from browning on just one side. After about 5 mins, the balls will rise to the surface. 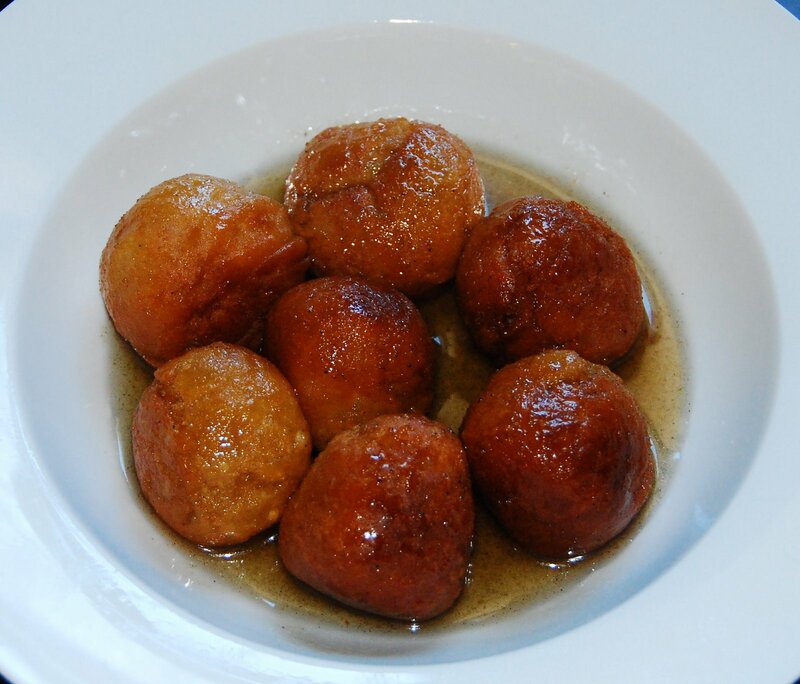 The Gulab Jamuns should rise slowly to the top if the temperature is just right. Now they must be gently and constantly agitated to ensure even browning on all sides. 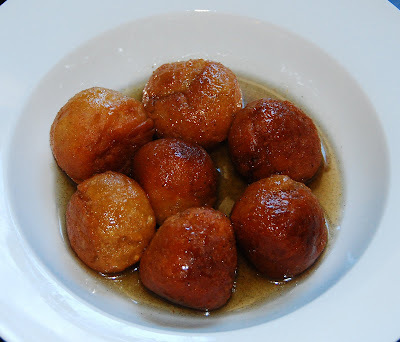 5) If the temperature of the oil is too high then the gulab jamuns will tend to break. So adjust the temperature to ensure that the gulab jamuns do not break or cook too quickly. 6) The balls must be fried very slowly under medium temperatures. This will ensure complete cooking from inside and even browning. 8) Transfer this hot syrup into a serving dish. Keep warm on stove. Add the fried gulab jamuns directly into the warm syrup. 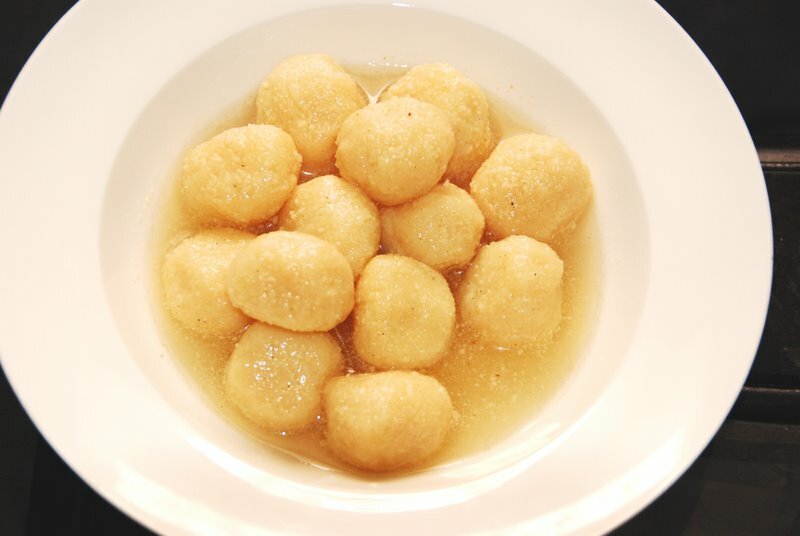 Leave gulab jamun balls in sugar syrup overnight for best results. They can be served warm or at room temperature.